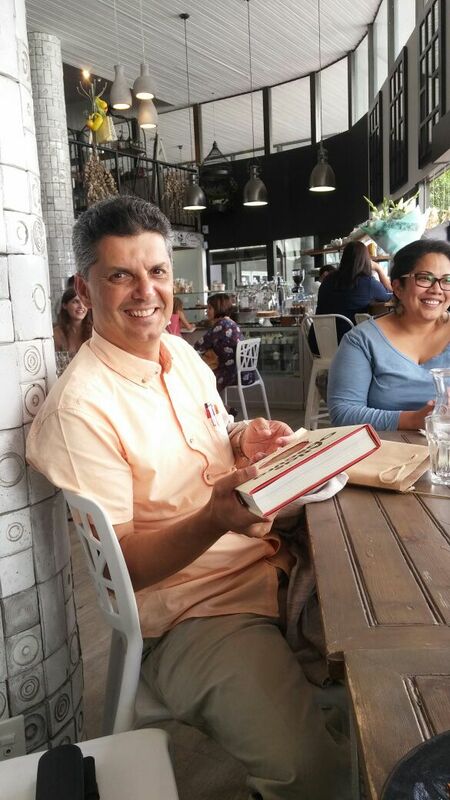 Prof. Essop with his book gift at CMRG tea during 2017. Charlene Kimar and Gaurang Deshpande enjoying CMRG tea and cake outing – early 2017. 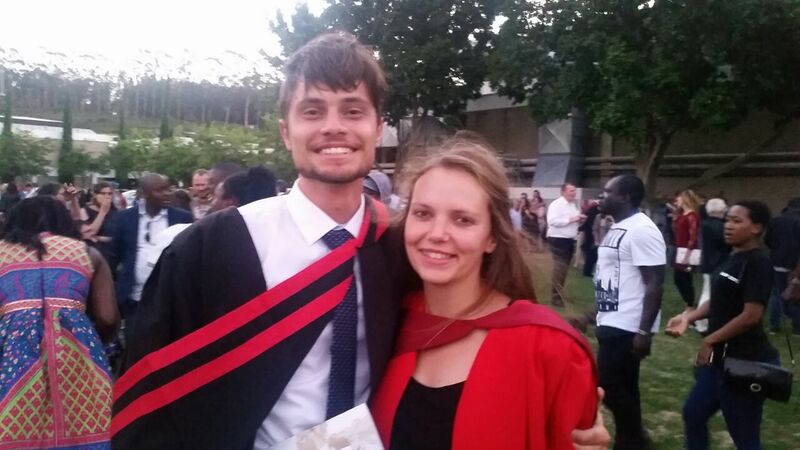 Lucien Sher and Natasha Driescher graduates with a BSc (Hons) and PhD degrees, respectively (December 2017). 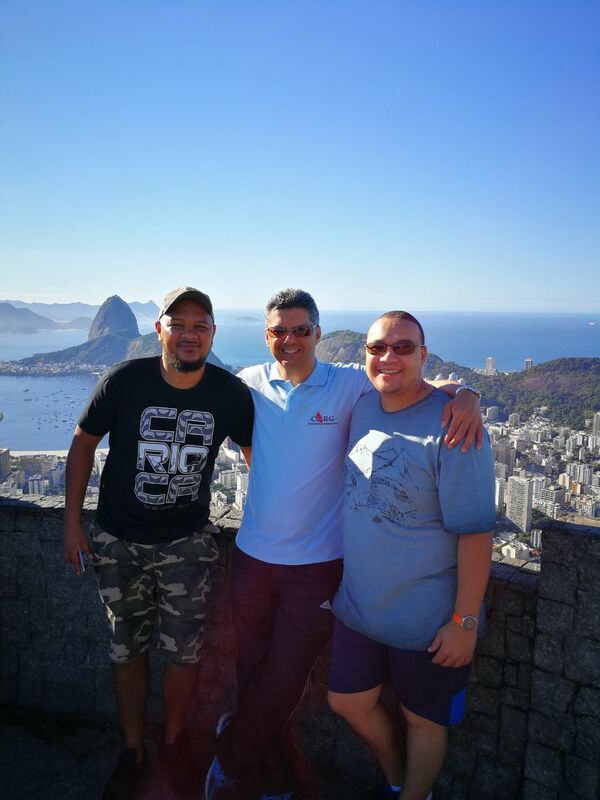 The CMRG bid farewell to Drs. 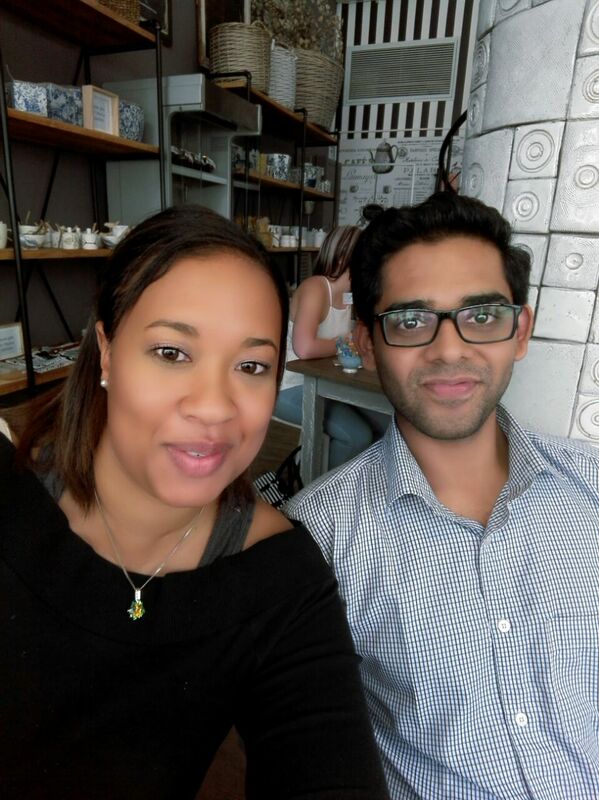 Danzil Joseph and Natasha Driescher at the Bird Cage restaurant in Stellenbosch (Dec 2017). 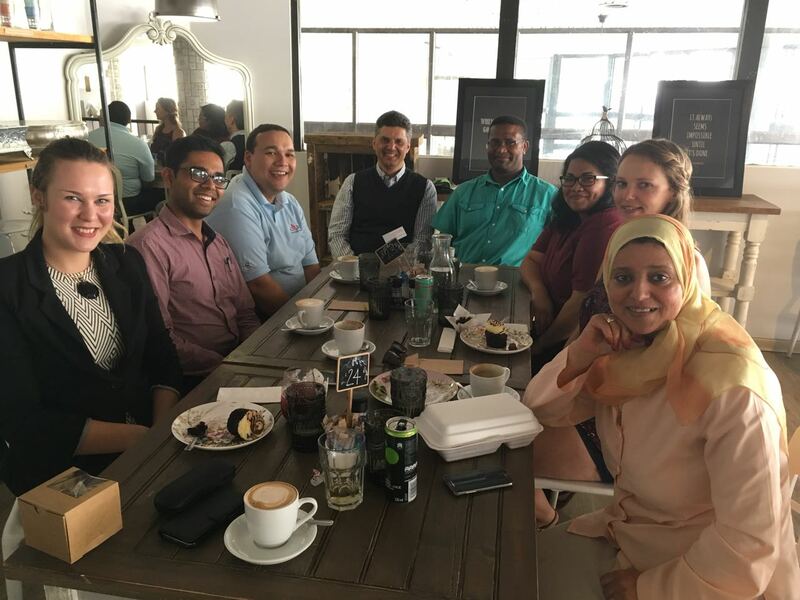 Sulandy Reuter, Dr. Gaurang Deshpande, Dr. Danzil Joseph, Prof. Faadiel Essop, Noel Markgraaff, Veronique Human, Dr. Natasha Driescher and Dr. Eman Teer (left to right). 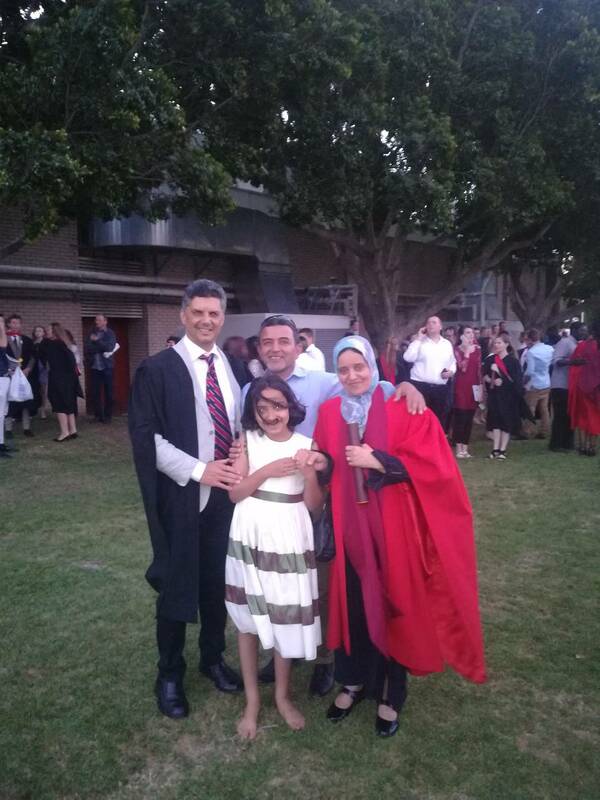 Eman Teer recently graduated with a PhD degree and is pictured together with her husband, daughter and Prof. Faadiel Essop (December 2017). 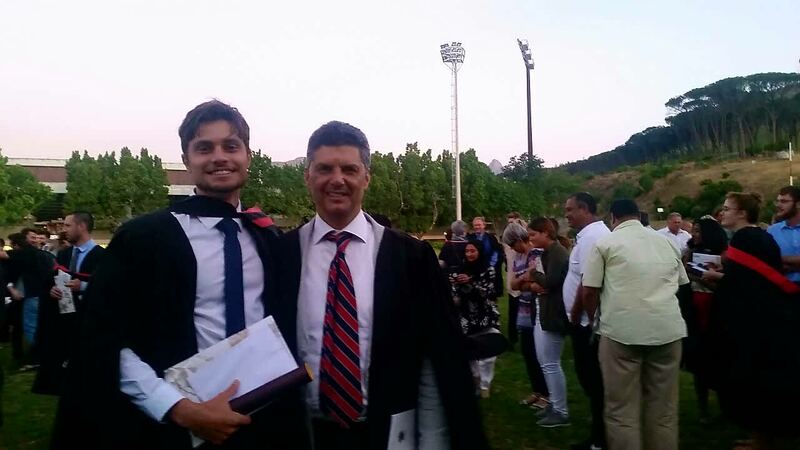 Lucien Sher and Prof. Faadiel Essop after the former graduated with a BSc (Hons) degree (December 2017). 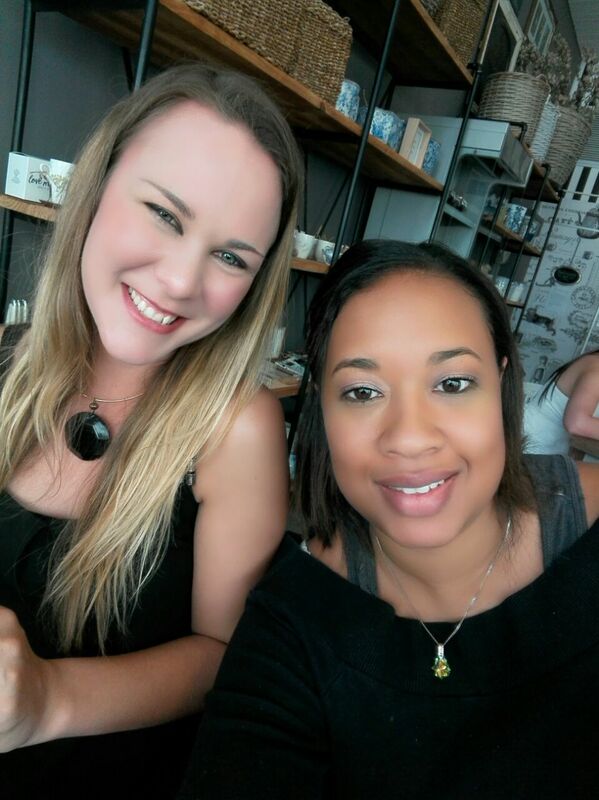 Sulandy Reuter and Charlene Kimar CMRG tea and cake outing – early 2017. 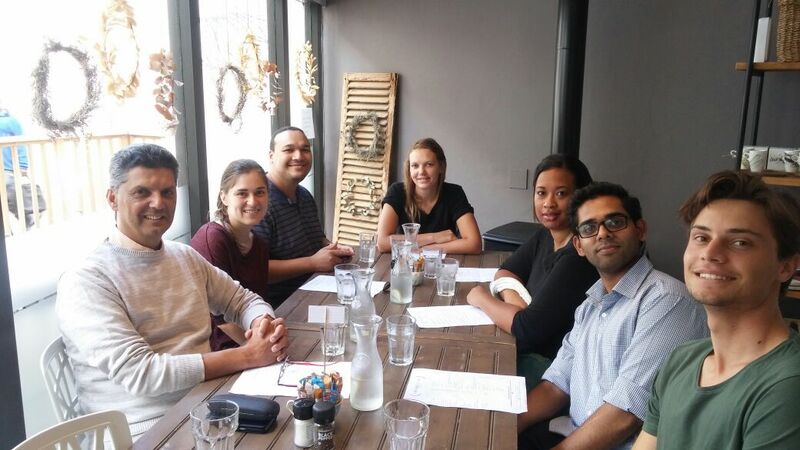 Farewell luncheon for Janina Benade (MSc student, second from left) during 2017. Prof. Essop, Janina Benade, Natasha Driescher, Charlene Kimar, Gaurang Deshpande and Lucien Sher (left to right).